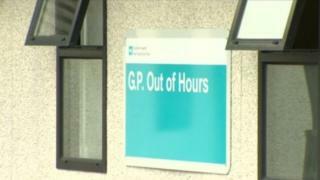 Restrictions on out of hours GP services in Fife are set to continue for at least another six months. Last April, night-time Primary Care Emergency Services at hospitals in Dunfermline, Glenrothes and St Andrews were cut between midnight and 08:00 because of staff shortages. Patients were sent to the Victoria Hospital in Kirkcaldy instead. The Fife Health and Social Care Partnership said difficulty recruiting staff was behind the decision. The arrangement will continue until the end of August in the interests of patient safety. Michael Kellet, director of Fife Health and Social Care Partnership said: "We need to extend contingency measures for out of hours care for a further six months. "Staff shortages continues to be the biggest challenge." "We will continually review performance over the next six months and provide an update at the end of July."